I live in Poiseul, France, 11 km eastern from the “Haut de Conge” wind farm, Dampierre, that is located 2 plateaux higher than my village. It was built in 2010. As soon as we leave the cirque valley, we can see the wind turbines. They are 14, 145 metres high, 2 MW turbines. 11 km northern, you can find 6 other turbines, 125 metres, 2 MW, built 3 years sooner than Dampierre. The main problems appeared after the construction of Dampierre wind farm. Vibrations of my house, and of the whole valley, they are probably bound to infrasound. When the wind comes from west, there is furthermore an aerial noise. The walls of my house vibrate as if a compressor would be against the walls. So there is a continuous buzz that generates tiredness, impossibility to get concentrated on an intellectual work, sleep difficulties, nights waking, nightmares, thorax oppression, nausea, upper limb and head jumps, as if I had to protect myself from an aggression, headache, eyes tiredness, nervous erosion, I don’t look well, dizzy spell, need to flee far away, sometimes, the noise is so loud that it wakes me. Some days, I can do nothing. As my sons, both students, are at home, they also fall sick and don’t have a good sleep any more. One of them says, there is now a strange acoustical atmosphere (he is a musician). They don’t hear the vibrations, but they feel them in another way. We can feel it in the whole house; a room, under the roof, is so hit that I can’t stay in it any more. When the house vibrates too much, my dog doesn’t want to stay inside. It goes out in the middle of the night or wants to stay outside when I go. Even when it’s raining! Recently a friend visited me 2 hours, in the 2nd hour she said me her head started spinning, I looked after the weather forecast, there was no wind in the first hour, the western wind started blowing in the second. Another friend clearly heard the noise. The vibrations are here since several years, I estimate about 6, thanks to my familial marks. I only recently understood they came from the wind farm, by reading articles about wind turbine infrasound. 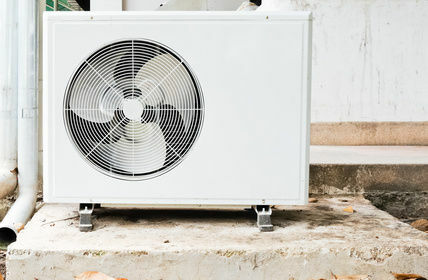 I live in a quiet calm village of 70 inhabitants, I had, fruitless searched for the noise source in my street, thinking of a heat pump, because of the typical blade noise. Then in the whole village, in the farms, I had shut my electricity meter off, there is no bordering house. The noise is everywhere, even in the valley that is like a resonance chamber, but it seems to come from nowhere. Since then, I have made observations, thanks to them, I could notice that the vibrations are bound to the wind direction and force. I went to a road directly under the wind farm and could exactly recognise the vibration. I also could hear it with the same signature by two friends living 7 km from the turbines, and seeing them from their homes, one northern, the other one western. The second one suffers of nausea and sleep troubles since some years, she didn’t know what it came from, she is almost never more at her home. I can also hear it in all the valleys of my region. When I go to other places, I don’t hear it anymore and sleep very well. By eastern wind, the problems are relieved, there is a ground buzz, but no nausea, no jumps, less concentration problems, no visual problems more (I can usually read without glasses). When the lull lasts several days, I come alive again. During long periods without wind, I can read 40 pages of a hard philosophy book at a go, when the wind approaches to the west, I can’t even read 2 pages. Only the long periods without wind bring real calm, because the vibrations are continuing. The ground vibrations are present wherever the wind comes from, they arrive one day after the wind starts and go away one day after it finishes blowing. What means they are almost always present, excepted during long periods without wind. The western wind adds to it an aerial noisy sound, it’s the worse for the health. Nausea, jumps, eyes problems, main concentration problems… are directly bound to it. By particularly strong western wind, it’s as if a helicopter would approach but never arrive. Even during hurricanes, while turbines are certainly stopped: 42 blades whistle even when they don’t move. It’s a real trouble for my everyday life (I just can do nothing and want to flee away), for my professional life, I am a researcher and author and mostly have to work at home, and also for my health. I, for example, was unable to translate those pages in the last days, because of the wind. I also have heard about strong health problem next to all the wind farms of my area, 66 wind turbines can be seen from the plateau above the village, more than 150 are in project within 10 km of my home! 19 direct of them above our roofs! All the winds would be poisoned! ← Wind-Bullies Hate it, When Their Victims Fight Back! I feel so sorry for Blandine Vue, her family and neighbours! How can anyone read this and not feel compassion? In Ashfield Colborne Wawanosh, in Huron County, turbines have been sited to surround a river valley neighbourhood that has long been known as one of the most idyllic settings to live. Nine homes are now impacted. Why would anyone have allowed this to happen? Surely, this is a crime! The windscam is a travesty, Sommer! Money is at the root of this crime, as it is in so many others!